Sew Can Do: Craftastic Monday - Let's Party!! Craftastic Monday - Let's Party!! It was Entry #97: Becca. Congratulations Becca!! I'll be contacting you shortly to get your info & choice of necklace. And for everyone else, don't forget there's still a 25% discount code on ALL ITEMS at Inspired By Finn for Sew Can Do readers. Just use: GREENHEDGEHOG, so you can still get some great amber jewelry for a fabulous price! How cool is this Pingu themed igloo cake by Sweetened by Kagi? Fondant penguins are so cute! I leave the party open until 11:59pmEST every Thursday, so there's plenty of time to add your newest creations. Can't wait to see what you've got! 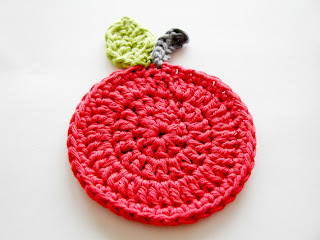 Thanks so much for featuring my Apple Coasters!! 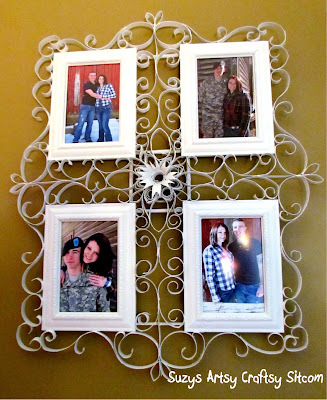 Thanks for featuring my faux metal filigree frame! You just put a smile in my day! Thanks Cheryl for the party! Love ya! I am a new follower and just linked to your party for the first time. Thanks so much for hosting!